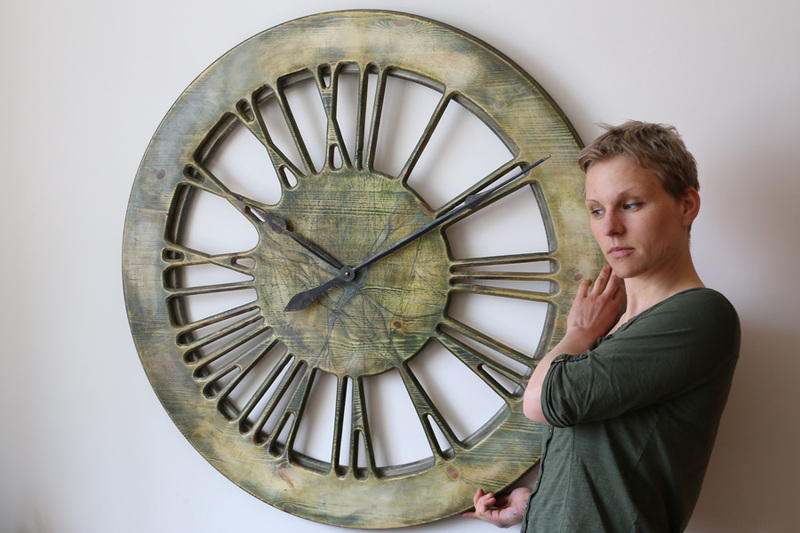 The “Marijuana” oversized modern clock is handmade from a single large panel of sustainably sourced pine wood. Its is beautifully hand painted to add uniqueness and character. 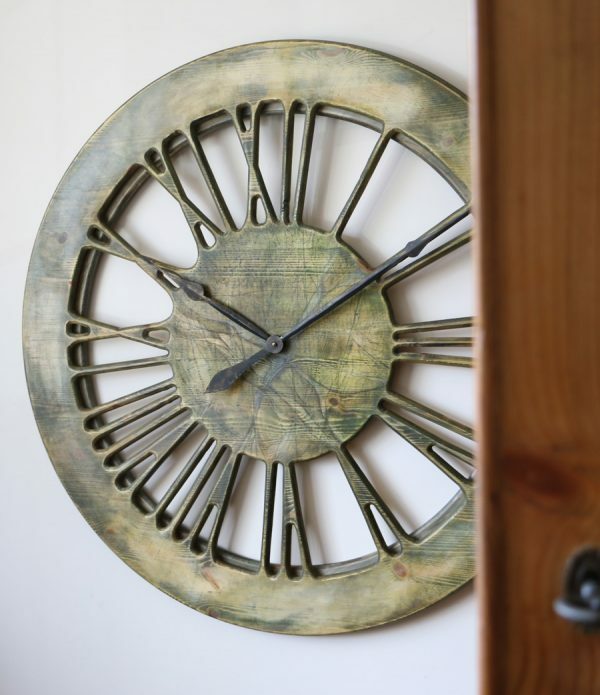 The most stunning clock face is displaying carefully hand crafted Roman numerals on a wooden hand painted frame and you can see the wall between the numbers. None of the clocks will ever be the same even if they follow similar design and the “Marijuana” is also one of its kind. 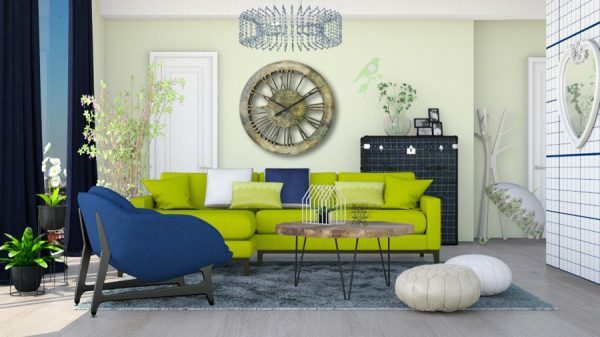 With a total diameter of 100 cm and its most unique and refreshing look, the “Marijuana” will look fantastic in the most sophisticated interiors. What do you think when you look at this most unusual product name for the large modern clock? Like all other wall clocks from Peak Art we designed the “Marijuana” to impress. It displays nice looking hand carved Roman Numerals and with the transparent background, this marvellous timepiece would integrate well in most places. 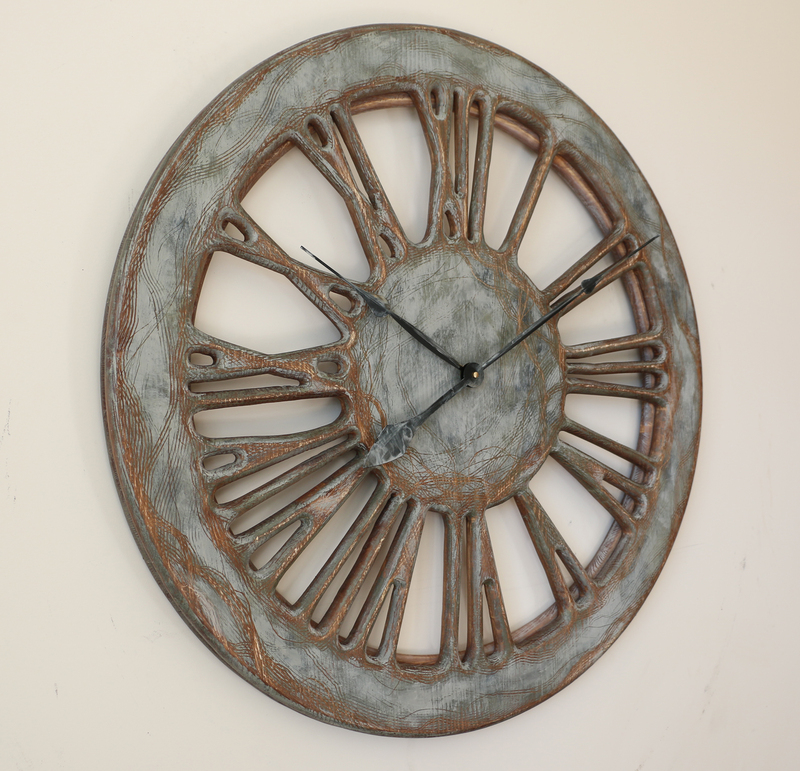 The face of the clock is one of its kind, fresh and with beautiful finish. It also has some custom features to add more character. Are you searching for a modern expensive gift for someone you love or care for? Would you like to wow them with something they can’t find in a shop window? This most remarkable modern timepiece may be just what you were looking for! 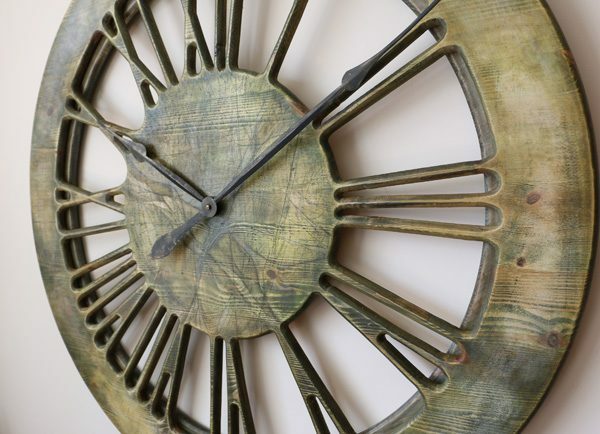 The clock face is cut out from a single panel of pine wood which gives it very natural appearance. It is hand painted to resemble crested leaves with various shades of green. 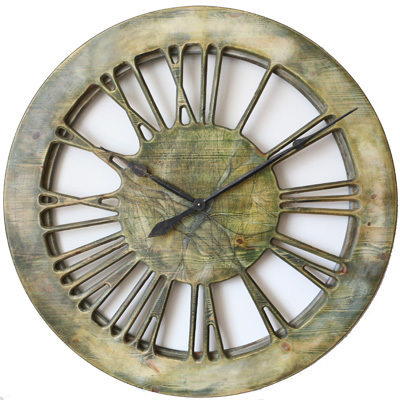 The Peak Art hollow clock design will let this fabulous piece blend well in most modern or contemporary interiors. The powerful mechanism needs a single C Cell battery that should last many months. When we deliver the clock we always detach both hands to prevent any damage in transit. Once you receive it please watch this short video explaining how you can set the time. 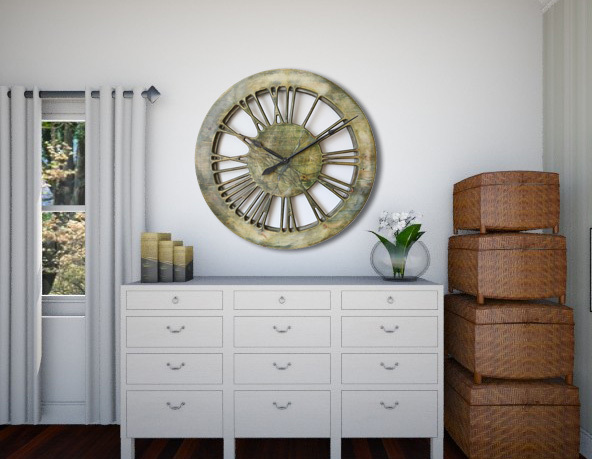 At Peak Art we specialise in oversized statement clocks and our skeleton roman numeral collection is very popular among the customers. You can only display those wonderful timepieces internally because they aren’t weather resistant. Whether you plan to mount them in your home, office or posh penthouse apartment make sure to avoid direct heat or moisture that could reduce the lifetime of the mechanism or let the wood dry. Join Peak Art Facebook Community and lets change the accepted thinking about decorating empty wall space. You don’t have to follow the old habits with large paintings or mirrors and can standout from the crowd by owning something globally unique.